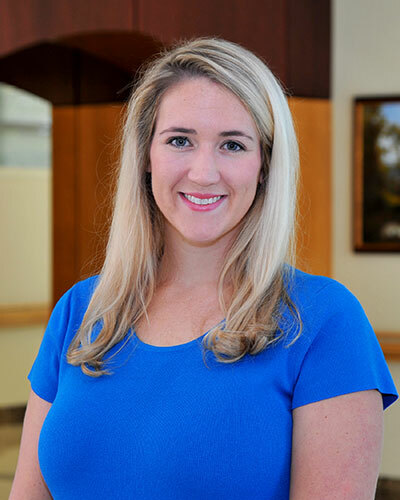 Elizabeth Caskey, Au.D., originally from Shelbyville, TN, joined GKENT in the summer of 2016. Elizabeth earned her Bachelors of Arts Degree in Communication Disorders in 2012 from Middle Tennessee State University. She then earned her Masters of Audiology from the University of Tennessee in 2014, and her Doctorate of Audiology from the University of Tennessee in 2016. Her clinical fellowship was spent the Veterans Affairs Hospital in Nashville, TN where she enjoyed working with many of our nations Veterans. She enjoys helping individuals communicate through advancements in amplification, as well as helping those individuals and their family members understand the impact of their hearing loss. She is a member of the American Speech Language and Hearing Association where she can continue to learn new and updated topics in the field of audiology. Elizabeth is an avid sports fan and is a supporter of both the Tennessee Volunteers and Mississippi State Bulldogs. When she’s not at a sporting event you can find Elizabeth spending time with her family, friends, and Great Dane Abby.